Burps are a common occurrence for most people. When we eat we often swallow some air. This air gets trapped in your stomach and must escape, resulting in a burp. However, sulfur burbs often smell very bad, worse than your average, swallowed-air burp. Sulfur burps are not a result of swallowed air, but of sulfur-containing vegetables and other sulfur-containing foods. They may even indicate a more serious medical condition. Typically air gets swallowed when we eat or drink too fast. Additionally, chewing gum, smoking, wearing loose dentures, sucking on hard candy, and drinking soda can increase your chances of burping. Sometimes burps are caused not by air, but by the natural process of the bacteria in your gut breaking down the food you’ve consumed. These types of burps are common and in most cases are not cause for alarm. 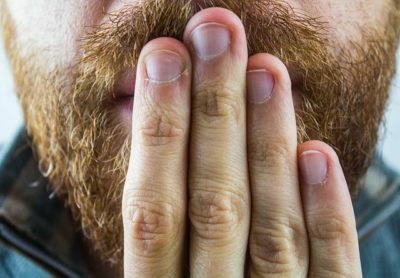 Sulfur burps are more smelly than regular burps and can result in some uncomfortable situations. The smell is a result of hydrogen sulfide gas. This gas is produced as a result of something you ate, an infection, or a gut condition. Food such as broccoli, brussels sprouts, and other cruciferous vegetables contain sulfur and often cause sulfur burps. High protein foods as well as beer may also result in hydrogen sulfide in your stomach. One medical condition that can cause awful smelling burps is gastroesophageal reflux disease (GERD). This disease involves stomach acid and gases coming up the esophagus and escaping through your mouth. Another cause of sulfur burps is Giardia. Giardia is an infection of tiny parasites. These parasites invade the small intestine causing a poor appetite, weight loss, diarrhea and unpleasant burps. Giardia is serious, and it’s important that you seek medical attention if you suspect you may be suffering from this infection. Home treatments often involve changing your diet. Reduce the amount of sulfur-containing foods you eat. Since foods that trigger sulfur burps may vary person to person, experiment with what you eat and try to determine which foods cause your smelly burps. Additionally, make sure you chew carefully and slowly. You may also consider using mouthwash after your meals. As mentioned above, smelly burps may indicate other more serious medical conditions. If you suspect your burps are a symptom of a larger issue, make an appointment with your doctor. They will diagnose the problem and make a treatment plan. Even if you don’t have a serious problem, they can prescribe medications that will help with simple sulfur burps, such as alpha-galactosidase or simethicone which can aid in the digestion of certain foods.